Objectives : The satelite provided data on the fourth stage performance and ranging. Objectives : Carried a Land Mark sensor payload whose solid state camera performed to specifications. The satellite re-entered the earth's atmosphere nine days after lauch on account of the launch vehicle's injecting the satellite into a lower than expected altitude. Objectives : The Smart Sensor Camera was the primary payload on board the satellite. 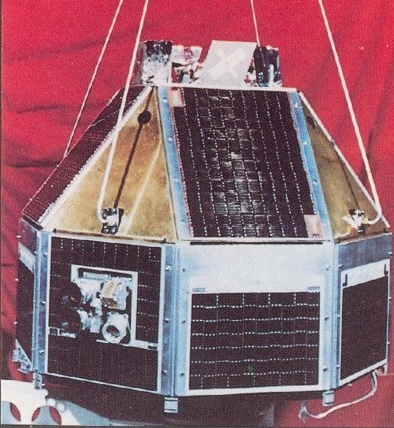 It was operated for over five months and sent more than 2500 pictures frames in both visible and infrared bands for identification of landmarks and altitude and orbit refinement. The camera had on-board processing capability to use the data for classifying ground features like water, vegetation, bare land, clouds and snow. After completing all its mission goals, RS-D2 was closed down on Sept. 24, 1984.